Delray Sands Resort Make your day hotel stay enjoyable and comfortable by booking your day stay at Delray Sands Resort. 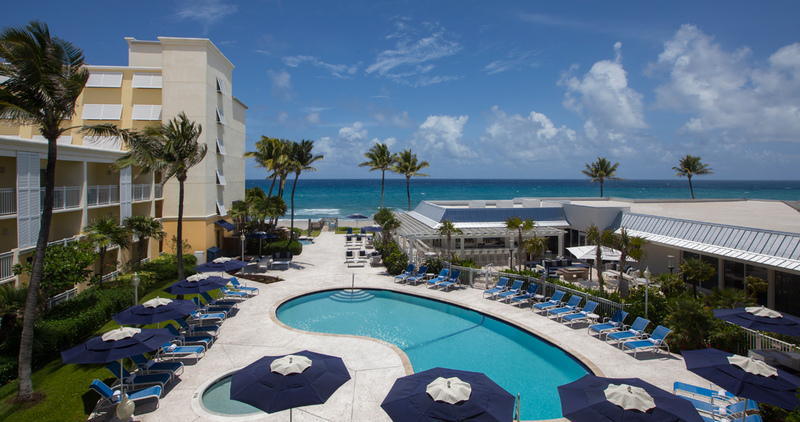 Experience a one of a kind tropical getaway at the beautiful Delray Sands Resort. 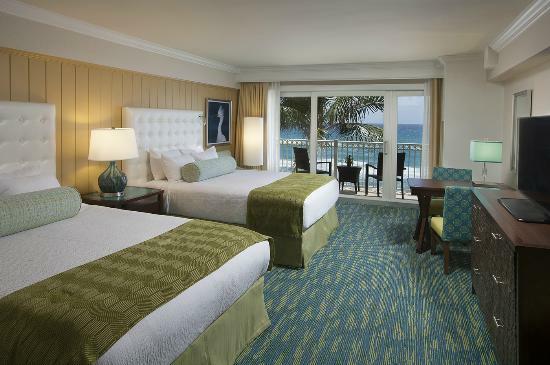 The hotel offers accommodating services and a gorgeous oceanfront view. 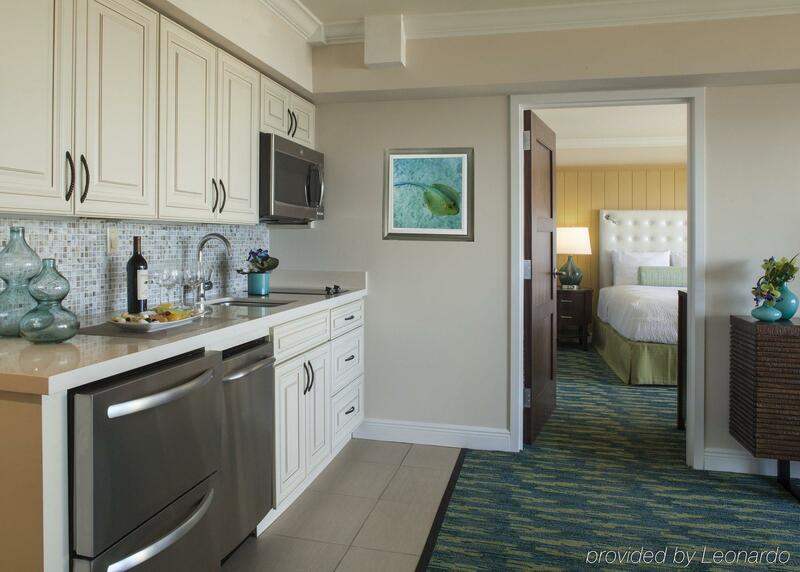 Recently renovated with a modern, chic interior design, the Delray Sands Resorts offers a relaxing atmosphere, perfect for a retreat. 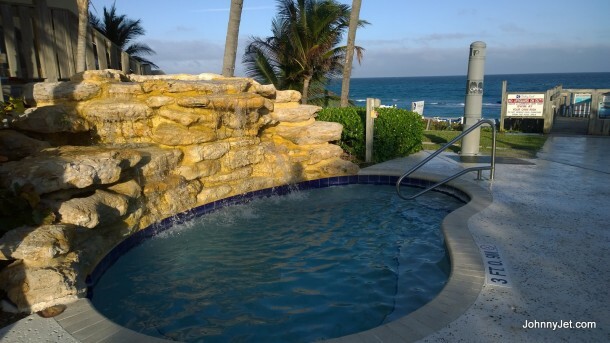 Enjoy the afternoon on the oceanfront or take a dip in their outdoor pool and hot tub. Treat your loved one to a romantic dinner at the hotel’s Latitudes Restaurant and savor their coastal cuisine. 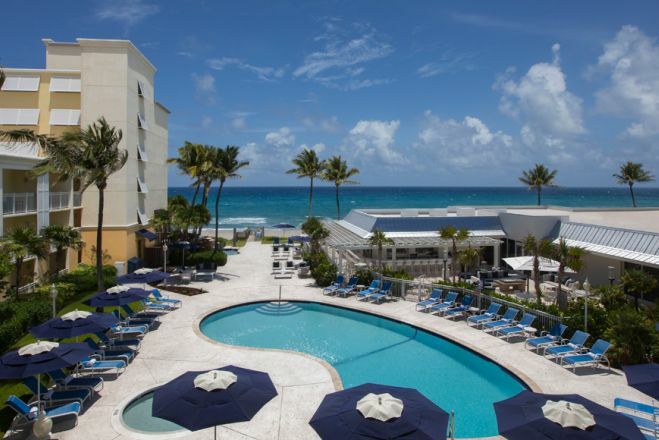 The Delray Sands Resort is the answer to your Florida daycation. 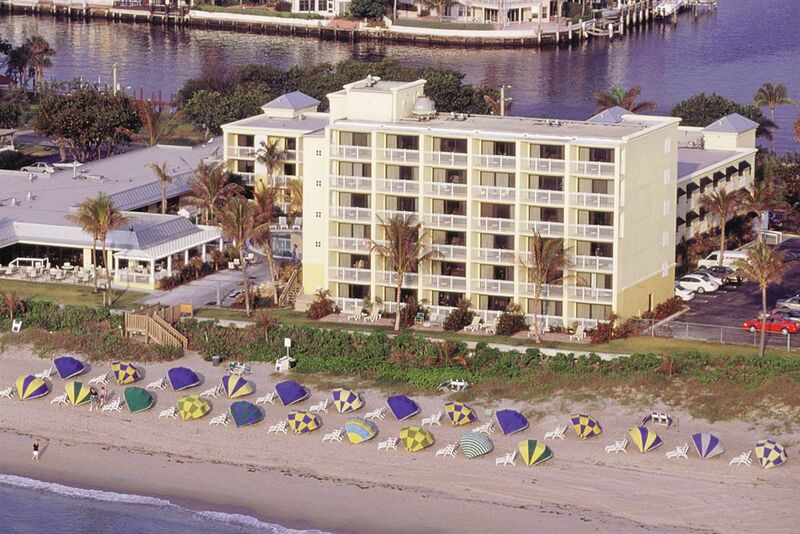 Don’t forget to book your day use room at the Delray Sands Resort with HotelsByDay today! Highland Beach - Just a step away from this fantastic hotel, is the beautiful deep blue waters of the Atlantic Ocean. Leave your worries behind as you relax in a private cabana along the beach side. Enjoy the tranquil environment of this clean and crowd-free beach. 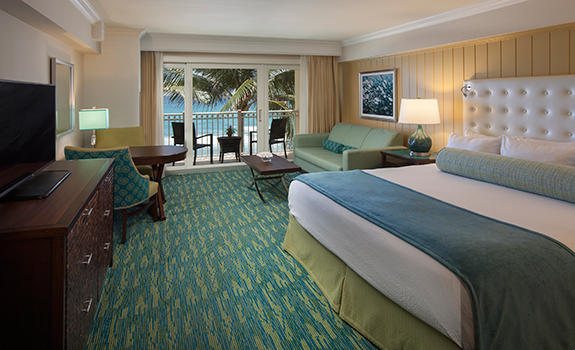 With direct beach access, the hotel conveniently offers beach chair and umbrella rentals. The Wick Theatre & Costume Museum - Enrich your life by taking a trip to The Wick Theatre. This performing arts destination is a hidden gem that has attracted national tours of Broadway shows. The venue holds a plethora of shows with breathtaking sets and gorgeous costumes. Along with fantastic shows, the Wick Theatre contains a wide collection of Broadway costumes for you to see. Enjoy a remarkable experience at the Wick Theatre during your daycation. Morikami Museum & Japanese Gardens - Enjoy the relaxing oasis of the Morikami Museum & Japanese Gardens. Uncover the beautiful botanical displays and learn more about the Japanese settlement in the area. Your trip is not complete without heading to its mouthwatering on-site restaurant! Parking - Free valet parking is available for all day guests. Latitudes Restaurant - This one of a kind ocean front restaurant offers a delectable dining experience for guests of the Delray Sands Resort. The gorgeous space is a filled with a modern, laid back design and coastal palette. Their exquisite menu offers fresh and local ingredients, specializing in seafood. 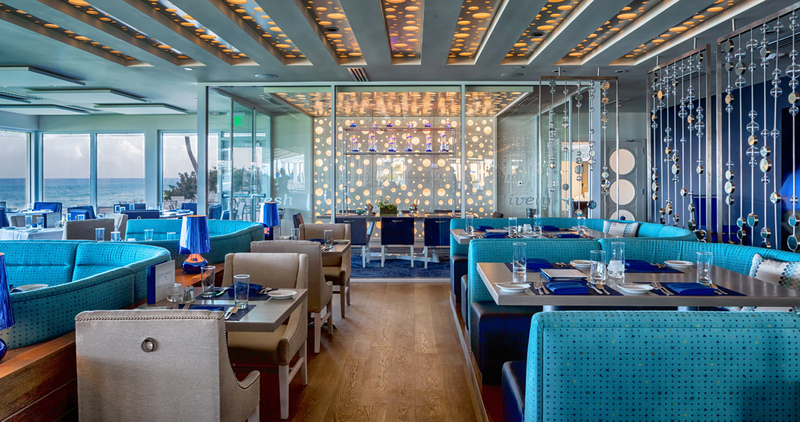 Savor their mini ahi tuna tacos or fresh oysters. Tropical Outdoor Pool - Take advantage of the ocean breeze and Florida sun in the comfort of the resort’s outdoor pool and hot tub. Relax along the chic outdoor lounge chairs and take a dip in the tranquil pools of their luxurious pool. During the cool night, unwind in their rejuvenating whirlpool.